Yup, you guessed it. It was the opening weekend of Crazy Rich Asians – the talk of the town, the watershed moment of Asians’ on-screen representation, the movie with the mission to achieve a thunderous success big enough to shake Hollywood. And it has exceeded every expectation. The RomCom has wowed critics, gained a 92% fresh rating at Rotten Tomatoes, and has taken the top spot at the weekend box with a whopping $26.5 million – the highest grossing comedy debut of the year thus far and the highest opening for a RomCom in three years. Hundreds of thousands of Asian Americans have been eagerly and anxiously waiting and planning for this weekend. It is the moment of victory they have fought and dreamed for far too long. Asian Americans’ journey to mainstream on-screen representation started decades ago, but the rising popularity of online video sharing platforms in the mid-2000 helped accelerate its progress. Often sidelined by Hollywood, Asian Americans have taken their stories to democratic platforms like YouTube where original content can shine. Fast forward to 2015. Realizing the mainstream appeal of Asian stories, ABC created Fresh Off the Boat, a comedy sitcom featuring an Asian immigrant family, which was a big leap from self-generated content to a professional production. What happened since has been histroic – Netflix launched Master of None starring Aziz Ansari and Ugly Delicious starring David Chang; Mindy Kaling and Awkwafina joined the dazzling cast of Oceans’ 8; Sandra Oh became the first Asian woman nominated for an Emmy in a lead actress category…and finally, the triumphant arrival of the all Asian cast major studio film on silver screen. Hollywood, are you finally feeling the heat? Crazy Rich Asians challenges stereotypical depictions of Asians, which makes it feels real and modern. The way news travels in an Asian family circle is depicted with near total accuracy – funny gifs and animated emojis crossing time zones on Instagram and WeChat, super active family chat groups that always include a few gossiping aunties. And, thank God (and the movie’s makers) for not forcing any martial arts scenes in the movie! Much to our delight, the movie actually brings a fresh breath of air by changing the clichéd Cinderella plot and shifting the balance of power to the middle class female lead rather than her ultra-rich boyfriend. Plus, against Hollywood’s troubled history of portraying Asian men, Crazy Rich Asians finally shows the world that there are plenty of gorgeous Asian men out there that everyone can swoon over. What’s also groundbreaking is the way Asian Americans have rallied and supported the movie’s premier. 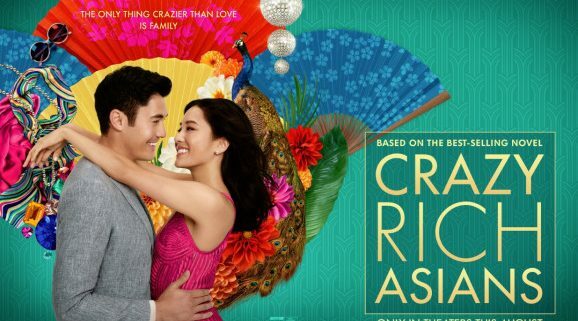 Crazy Rich Asians bears the huge burden of proving its worth at the box office in order for Hollywood to recognize the value of Asian stories, and Asian Americans banded together to make sure that this would happen. A group of Silicon Valley Asian entrepreneurs came up with a social campaign idea called #GoldOpen, calling Asian Americans to host private screenings or buy out movie showtimes to help Crazy Rich Asians score a crazy rich opening weekend. Numerous Asian influencers – Instagram fashion guru Amiee Song, film makers Wongfu Brothers, roboticst Grant Imahara, entrepreneurs Boba Guys, WeChat blogger Much Ado, just to name a few – have enthusiastically promoted and contributed to the campaign. In fact we, an Asian American advertising agency, have also organized our own private screening event (and saw our State Farm Smart Living commercial in theater!) The ripple effect is enormous. Fandango says that advance online ticket sales are among the best results for a comedy release in 2018. For brands, this social campaign is the most telling and convincing case, better than all research data, in illustrating the modern Asian American consumer profile – vocal, aspirational, social savvy, not crazy rich but certainly have a lot to spend, if you get them right. Crazy Rich Asians is no doubt a landmark success, and it is only the beginning. Asian Americans embody a vast array of cultural, linguistic and religious identities, and we should keep pushing the boundaries to tell fuller and deeper stories of them all, and eventually normalize Asians as complex and real characters on screen of all sizes. For brands that want to win the hearts and minds of Asian Americans, the Crazy Rich Asians rules are loud and clear – keep your content authentic yet up-to-date, fun, social worthy, and oh please don’t stereotype. We can’t wait to see it all happen. Retailers worldwide are facing challenges imposed by burgeoning e-commerce giants. But a new approach is emerging in Asia. The question of either-or is being pushed aside in favor of “New Retail”, a model that merges the best of e-commerce and in-store experience. 3-D printed teas: Even Starbucks opened a Premium Reserve Roastery in Shanghai last year, which is being billed as among the most advanced digital locations for the coffee giant anywhere in the world. Armed with immersive 3-D experiences for costumers via their cell-phones and a 3-D printed tea bar that allows patrons to explore new recipes and flavors, Starbucks shows it knows a thing or two about courting the digitally savvy Chinese customer. American retailers can take inspiration from Asia’s “New Retail” and embrace the evolution of in-store digital technology to create seamless consumer experiences. New Retail is not the only industry disrupted by Asian innovation. There are eight more! Download the link at https://www.admerasia.com to read the entire report. MOVE OVER, TESLA. ASIA HOLDS THE KEYS TO ELECTRIC VEHICLES. Asia is the world’s largest automobile market, primarily driven by China. 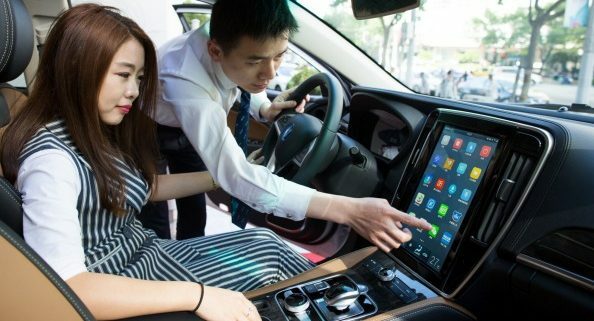 China is not only leading in overall consumption but is also ahead of the game in “New Energy Vehicles”. Where to Charge: As of December 2017, there are about 20,000 EV charging locations in the United States. China has 200,0001. Having plenty of charging stations is key to increasing consumer appetite for EVs, and it apparently has helped sales. China is now the largest EV market in the world. 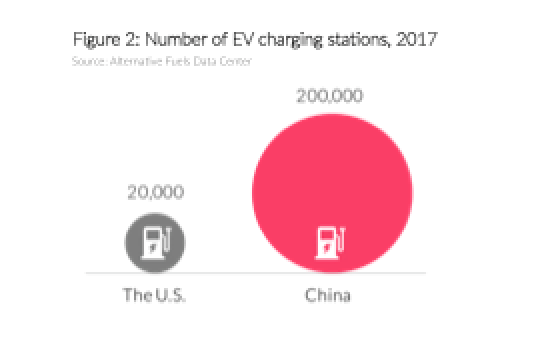 In 2016, half of the global EV sales were generated in China, compared to 17% in the U.S. Meanwhile, Chinese OEMs manufactured 45% of the world’s EVs2. The state of play for EV varies by country, but China has outperformed in both demand and supply dimensions. The Competition is Growing: Global auto giants like General Motors and Renault-Nissan have significantly increased their investment in China to advance their R&D and production capabilities for EVs. By 2021, every model launched by Nissan’s premium brand, Infiniti, in China will be either an all-electric or “e-Power” hybrid3. 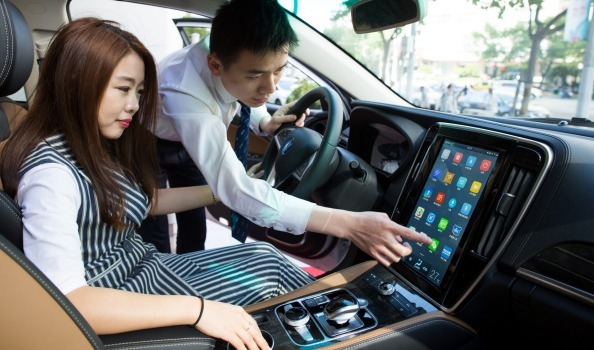 The prevalence of EVs in Asia has influenced the car purchasing behaviors of Asian Americans. While counting for 6% of America’s population, Asian Americans contributed to 28% of sales of Nissan Leaf in 20164. Don’t stop here. We’ve broken down Asian Innovation and Disruption into more Key Industries: Info & Communication Tech, E-Commerce, Mobile Payment, New Retail, Smart Home Tech, E-Sports and Entertainment, and beyond. Click here to download and read the entire report. FILAM STAR: Tune In To Yum Chat! New York, NY – August 6, 2018– Twin Marquis, a New York food company that specializes in noodles and wrappers, is releasing a 5-part docu-series, “Yum Chat,” celebrating Asian American chefs and cooking. Over the course of the series, 5 chefs will gather to cook, tell stories and share their table. Each of Yum Chat’s 5 chefs is New York local pushing the boundaries of their culture’s cuisine. Each of the 5 chefs is bringing viewers a recipe from their homes. NYC favorites, Esther Choi, Wilson Tang, Bao Bao, Hooni Kim and Lien Lin will explore what it means to be a chef representing an entire history on one plate. 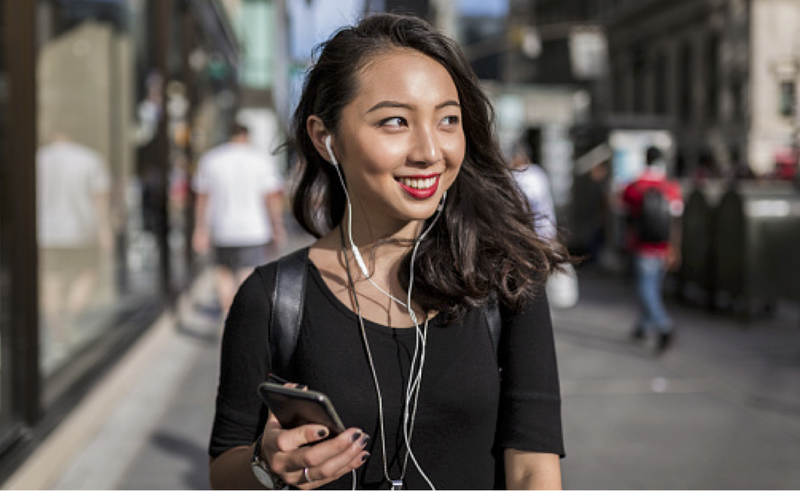 Asian Americans are early adopters of technology. To grasp their consumption behaviors, brands need to keep their fingers on the pulse of the economic, societal and demographic changes that shape Asian Americans’ profiles and the way they spend. Greetings on Lunar New Year or Diwali are not enough. Brands need to develop continuous engagement that delivers value throughout the year. Besides the mainstream social platforms, targeting bicultural Asian Americans requires brands to dig deep in the Asian social and digital platforms like WeChat to unlock unique and highly targeted engagement opportunities. Especially for today’s Total Market approach, it is critical to integrate Asian American segment considerations throughout the strategic process, instead of a rigid adaptation of general market materials. Read the entire report on the 8 industries disrupted by Asian Innovation. Download the link at https://www.admerasia.com to read the entire report.